“I Don’t Wanna Lose You” Cliches : Pungent Smell Of Vermin. Help! I never understand vermin. They passed by your life leaving pungent smell and then trying to crawl back; thinking they are so irreplaceable. Don’t you find that stupid? I mean, there is no way vermin are to be making the paths back to my life. I am all content with the NOW. Don’t you find it disgusting when masqueraded vermin keep saying : “I don’t wanna lose you” religiously; yet the irony thing is that what they keep doing is the thing that contributed to the loss? Disgusting. Usually, time will unveil the real patience of a person. One can put nice masquerade when one wants to woo others and controlled manners and did the impossible; but as time pass by, one will start to unleash the gruesome behemoth which was kept dormant during the early time. Does a patience is worth for this? It’s confusing. Infused with anger, frustration and sadness. Anger with the voice-raising. Frustration at not being appreciated. Sadness for being sincerity-belittling. Asking is not to clutch. It’s to concern. Yet, that was perceived as interrogation. With that tone of voice. It makes you wanna scream and retaliate back. But you hold your tongue. Pondering and thinking. Perhaps, you just need time to cool off. Perhaps. Perhaps. Perhaps. 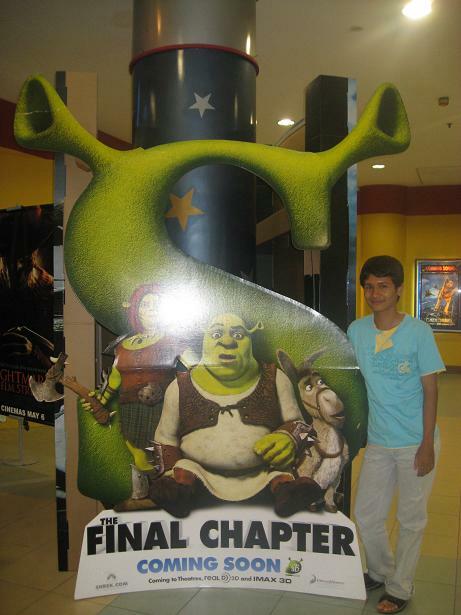 “Shrek 4 : The Final Chapter” Premiere @ The Mines. I love my ogre! Hahaha… There’s always a child in every adults. But of course, teenagers who are still about to blossom into adulthood will not want to acknowledge this because they think they own the world by parading into faux-adulthood; rebellious phase where childish-merchadises-ain’t-cool; and other stupid teensy-weensy shenanigan (Disclaimer to younger silent readers who still haven’t seen the real world yet always trying to be smarty-pants comment givers. 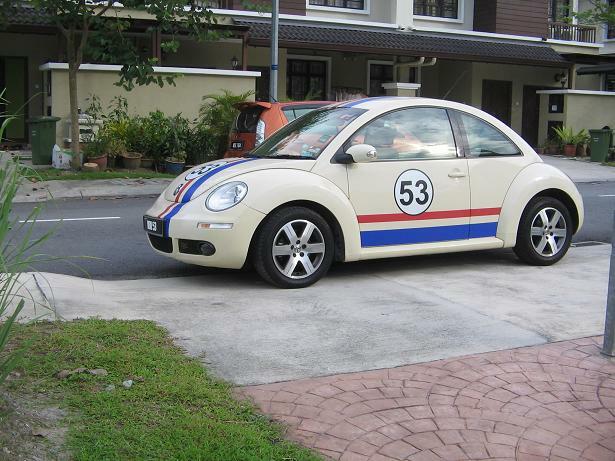 Stupid, aite?). Anyway, enough with the wasting blabbing. 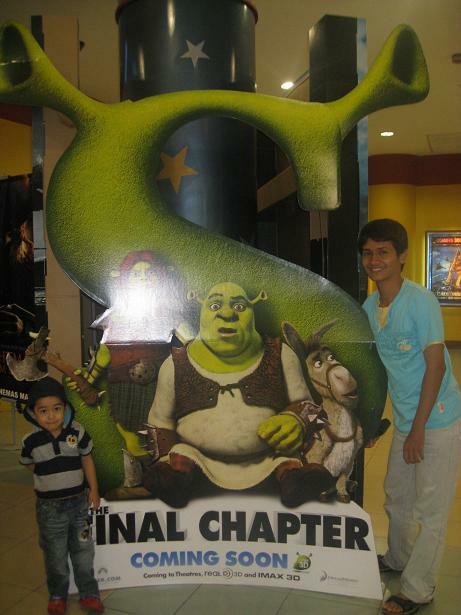 On Saturday, 22nd May 2010, pushed off to Putrajaya like usual and caught the coveted “Shrek 4 : The Final Chapter” with Kakak, Abg Zam and Rifqi at The Mines. It was a nice rendezvous although we arrived late due to Kakak and Abg Zam’s mis-communication; and a great family to-do. 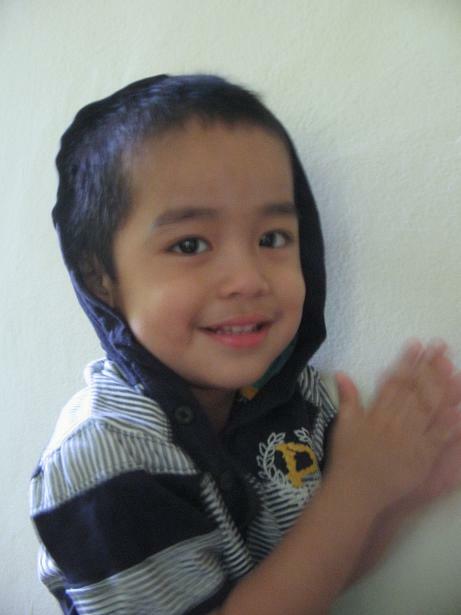 Rifqi was also enjoying the movie and couldn’t keep his mouth shut throughout the movie. Hahahha! This 4th and final installment tells of how Shrek being an ordinary soul did not appreciate what he had and wished if only things were back when he was alone before he met Fiona and had kids. The evil petite Rumpelstiltskin came into the picture, crafting some genius evil plan to topple Shrek and to rule Far Far Away. Although this final installment is not really on par with the other 3 predecessors, it is a sure bankable flick, I say! With cameo appearances by Pied Piper of Hamelin, Puss In Boots and Donkey, comical stints are just adorable. 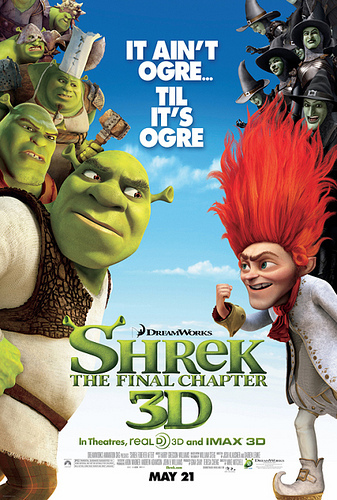 Shrek franchise is close to my heart because besides of its good comical relieves punch-lines, the dialogue is DEEP and meaningful and the finale part of each of Shrek movies always bring water (if not; almost!) to my eyes. 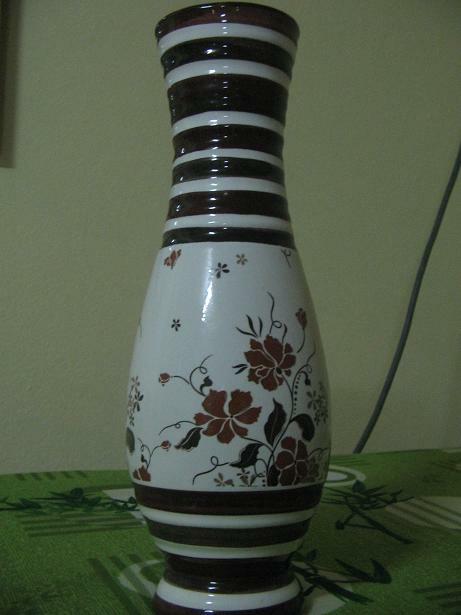 It also reminds that beauty is skin-deep. 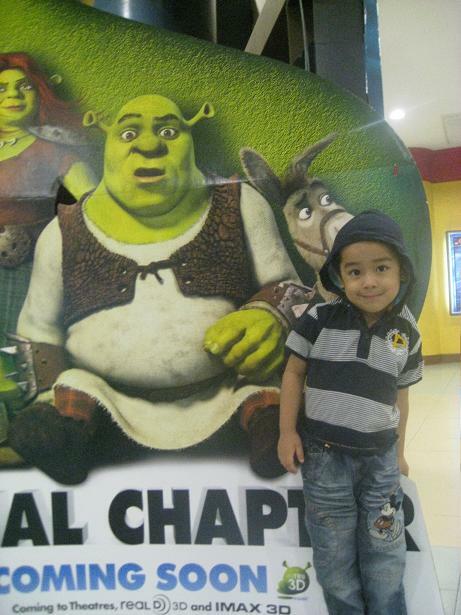 I also remember that 9 years ago in 2001, Kakak and I watched Shrek 1 together at Prangin Mall, Penang and now I am watching Shrek 4 with Kakak , Abg Zam & Rifqi at The Mines, Sri Kembangan. And oh, yeah I am planning to see this movie again! 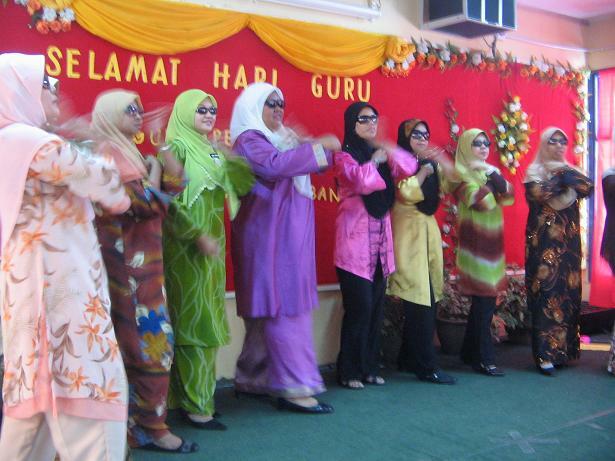 Happy Teachers’ Day @ SK Serendah 2010! I am sure every teachers in this world agree with me : Teachers never asked to be given gifts or showered with lavish gifts by pupils. 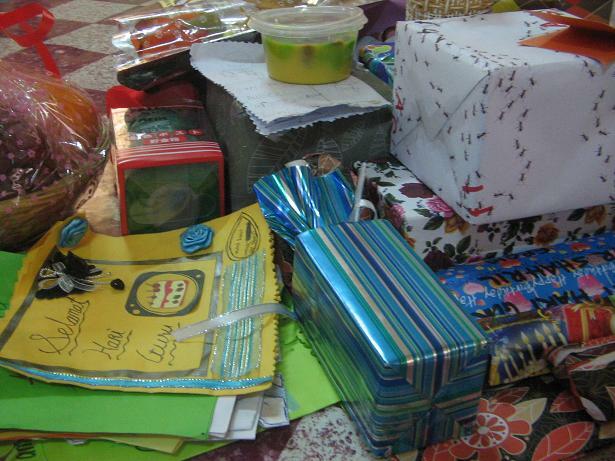 As long as pupils appreciate; even with a simple greeting or wish or even hand-made cards are all that matters. 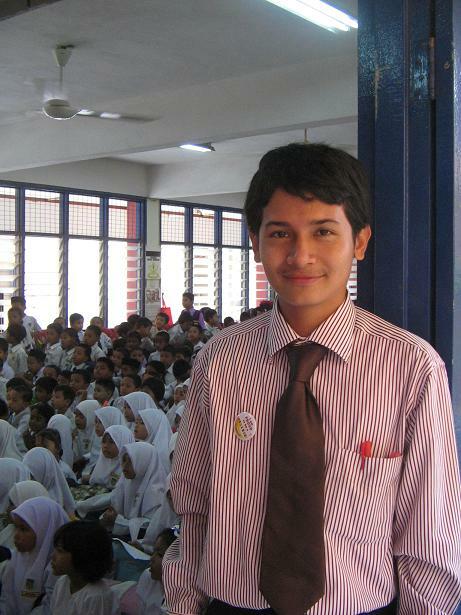 This year, I am celebrating my 1st year as a full-fledged teacher in SK Serendah and I have to tell, it was overall a very nice starting year for me! 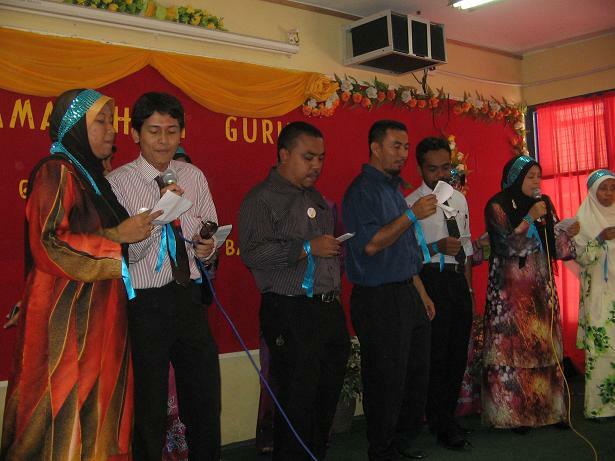 Standard 5 teachers belting out modified version of “Cindai, Wassini & Bila Larut Malam”. 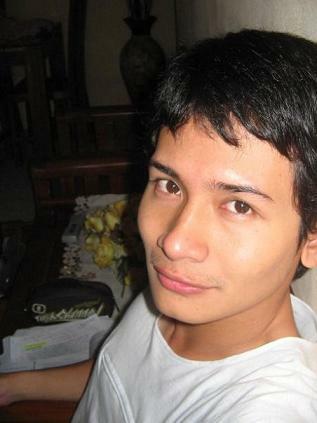 Lately, I have been threading a very very very hectic and busy social calendar; but I am loving every minutes of it. 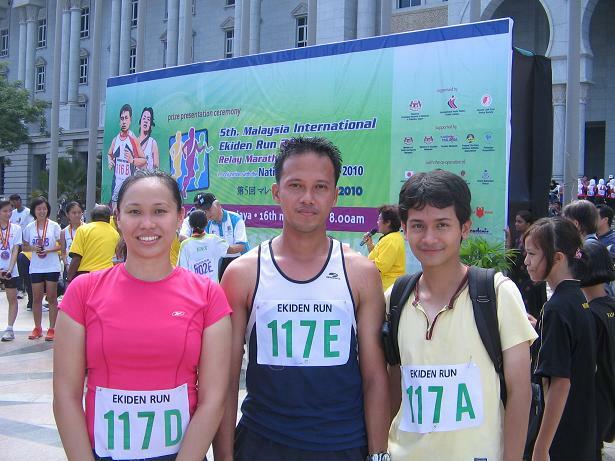 Fresh from the Putrajaya Ekiden Run on Sunday, I came back to Serendah to celebrate Teachers’ Day on 17th May 2010 (since on 16th May it was Sunday!). Although my body was still a little bit exhausted but the adrenaline was still pumping vigorously and motivated me to go through another heavy day. The day began with morning assembly with both session morning and evening all sardined together on the small school compound. 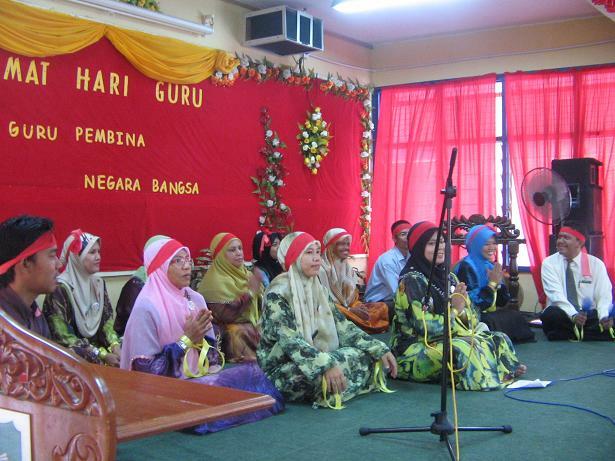 After the VIPS speeches and all, all of the teachers sang out lungs out the Holy Song for teachers : “Kami Guru Malaysia.” I was a bit excited and full of enthusiasm since this is the first year and singing the song really fires me up, I have to say! 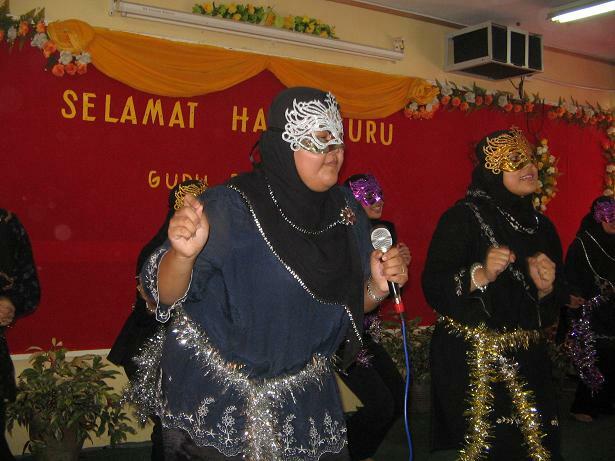 After that, pupils were scurried to the hall for performances by teachers. 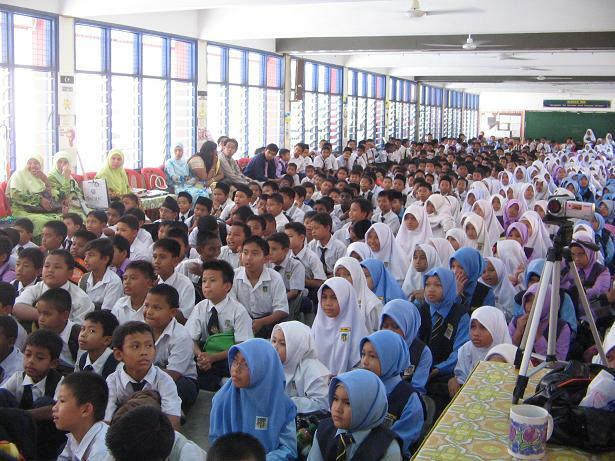 Standard 3 & Standard 2 (ii) led by Kak Rafidah. The teachers for standard 1 & Standard 2 (i) performed “Dikir Barat/ Dikir Puteri” which was certainly an energetic overture to the performance segment! 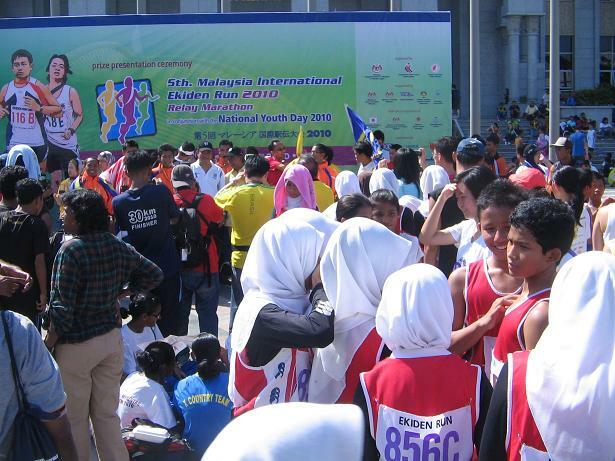 The atmosphere was heated up with the fast movement and catchy number by Noraniza Idris. 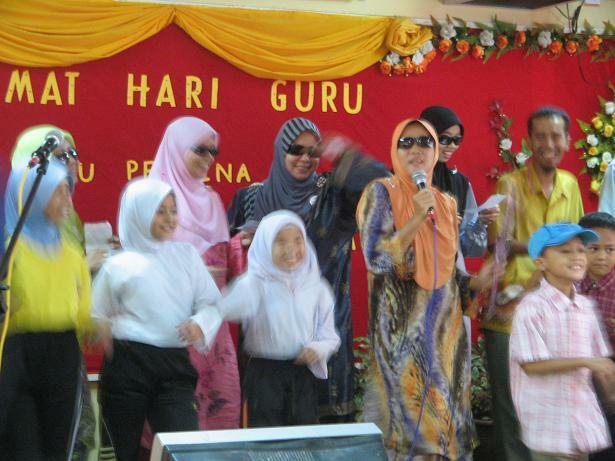 Standard 3 & Standard 2 (ii) teachers led by Kak Rafidah performed Pop Yeh Yeh with back-up dancers!! The pre-schoolers and PPKI teachers also performed their “Oh Suzana!” Pop Yeah Yeah performance which was very playful and cute! 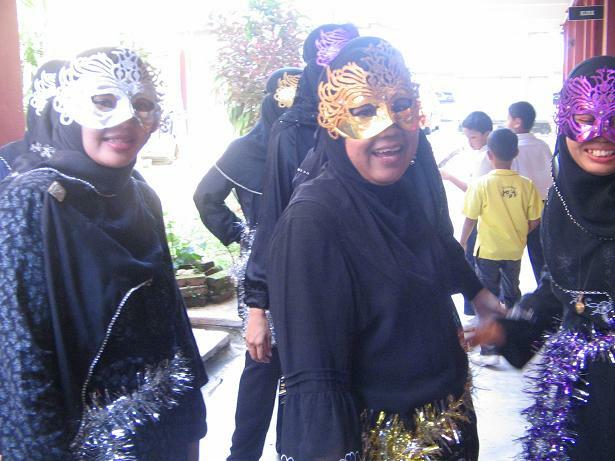 Standard 4 teachers which was clearly the winner for the performance segment came out with a stage show rendered with Allahyarham Sudirman’s “Basikal Tua” song as the background music. 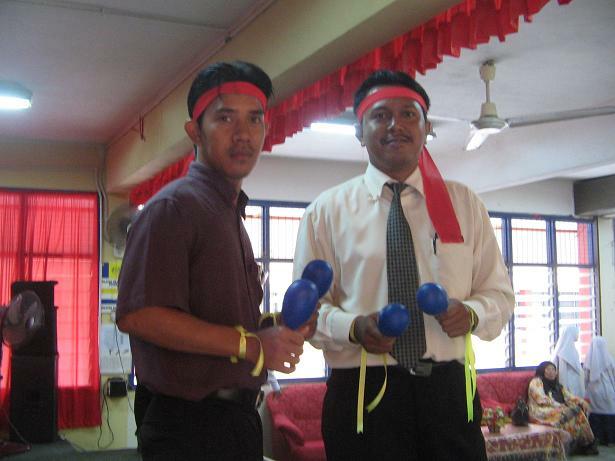 Certainly the combination and creativity of the teachers produced victorious when the group was declared as winner! 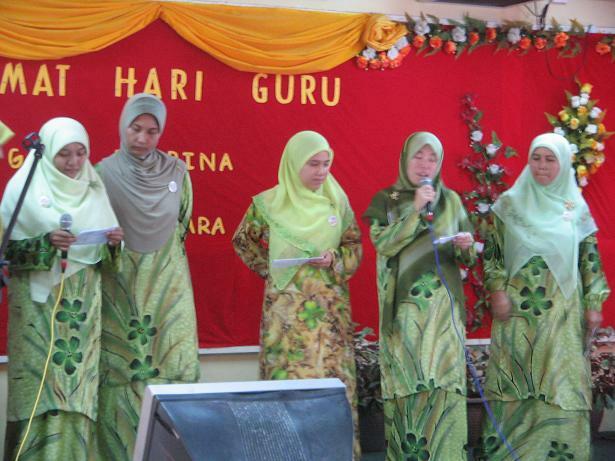 Standard 6 teachers are no quitter too: calling themselves “Bevy of Beauties” (all female teachers- Kak Wahida, Kak Lin, Kak Aireen & Kak Shida : my English panels sisters!! Hehe) performed a rather provocative and playful number of “Feminin” and “Wondergirls’ ‘Nobody But You’!!! The hall was so excited seeing teachers let their hair down! Bravo!!!! 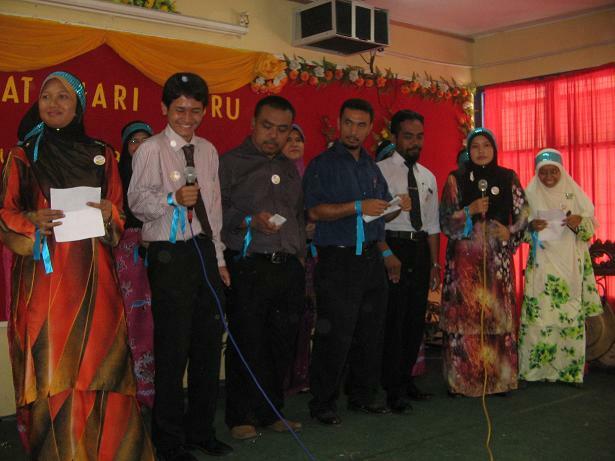 The last but not least was Standard 5 teachers (which was mine) singing 2 three traditional songs – ‘Cindai, Wassini & Bila Larut Malam’ with lyrics modified to suit Teachers’ day mood. Well, all I can say, my voice WAS the loudest! Hahahha! 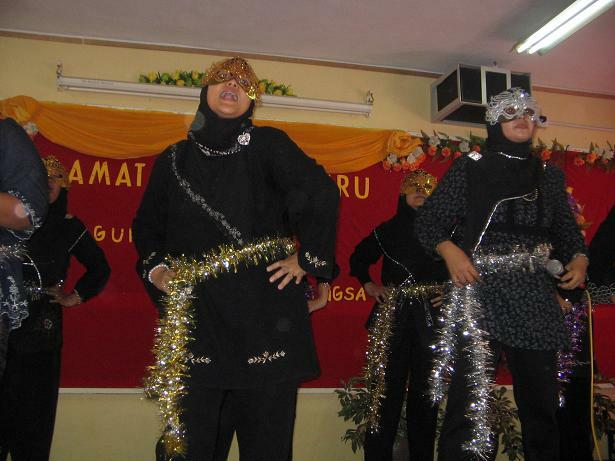 The winner : Standard 4 teachers with Allahyarham Sudirman’s “Basikal Tua”. 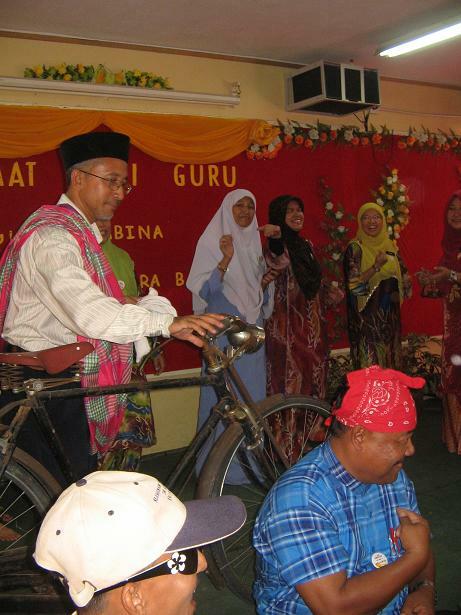 Sporting Ustaz!! Next, we had Prize-Trading session and then proceeded to Language Game for teacher. 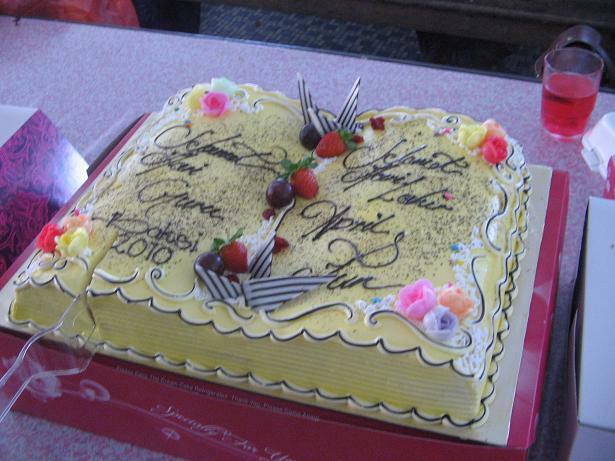 The day ended with cake-cutting ceremony for teachers who are celebrating birthdays on April, May and June (including me!) and luncheon by Kak Long of Canteen. 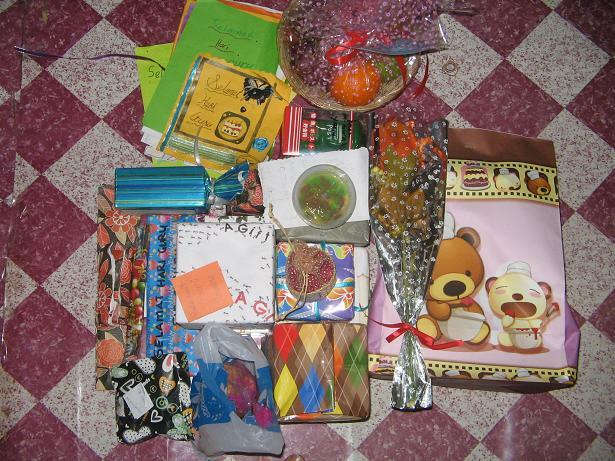 Tokens of appreciation by SK Serendah pupils. Sir will try to do the best to give my all to nurture y’all! 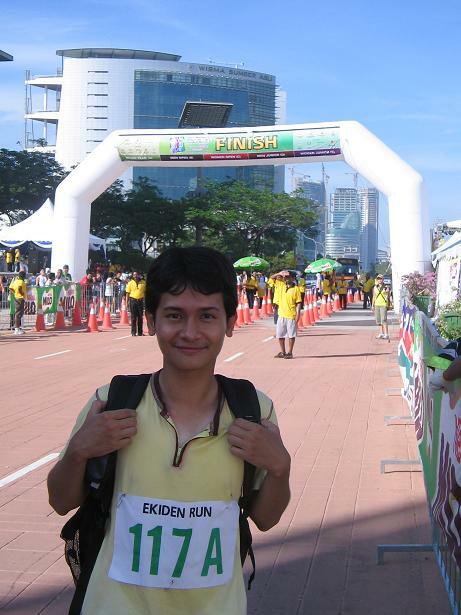 Virgin Sporty Experience : Putrajaya Ekiden Run @ Youth Day 2010. An invitation from Kat to venture into new experience was too hard to resist although at first, it sounded intimidating for a lazy bum like me (hahaha). But yeah, like what she said, “Bila lagi nak mencuba sesuatu yang baru?” With that as a trigger for motivation and myself eager to experience this new healthy-athletic frenzy, I agreed to join Kat, Nazri, Abg Syahir and one of Kat’s colleague to form the group “Guns ‘N’ Rose” for the Putrajaya Ekiden Run; dated 16th May 2010 for the Youth Day (Hari Belia)! Lately, I’ve been leading a HECTIC life schedule. 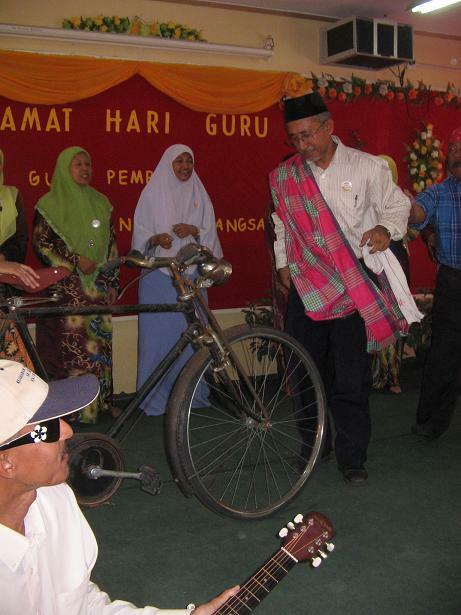 On Saturday morning, I had “Taklimat Perkembangan Guru” (meeting on school staffs’ hots-and-nots) and after that “Gotong Royong Perdana.” After that, had a brief ‘Hari Guru’ performance practice for Standard 5 Teachers (since I am teaching standard 4 & standard 5; I am opened to both!). 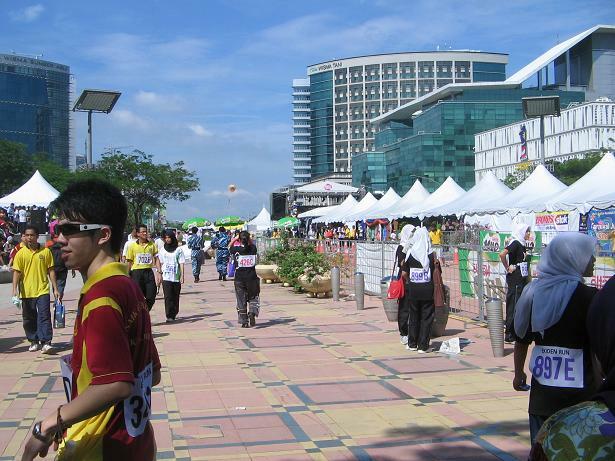 Only around late noon that I am able to push off to Putrajaya! 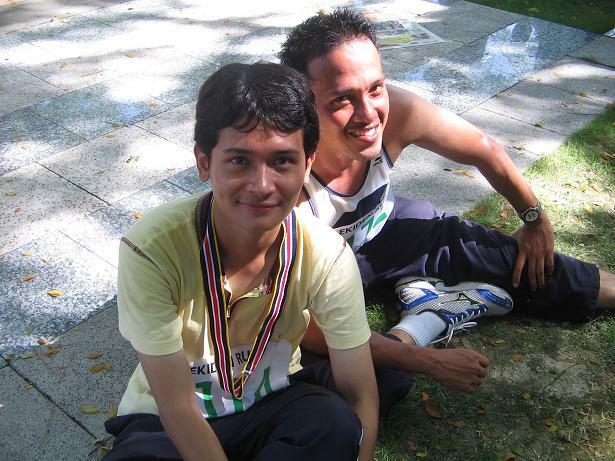 Around 6 P.M., jogged around Precint 14 with Kakak who is like so into the mood of exercising and leading healthy life; met Kat, Abg Syahir & Nazri at Taman Warisan Putrajaya at 7.30 P.M. to collect the relay numbers and also simple briefing by Miss Kitty Kat. 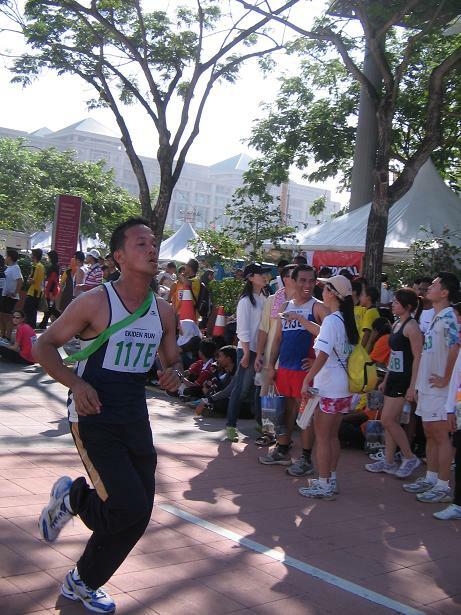 On Sunday, 16th May 2010; gathered at Park-and-Ride/ ERL compound at 6.30 A.M. and then pushed off to Precint 2 where the run was about to take place. 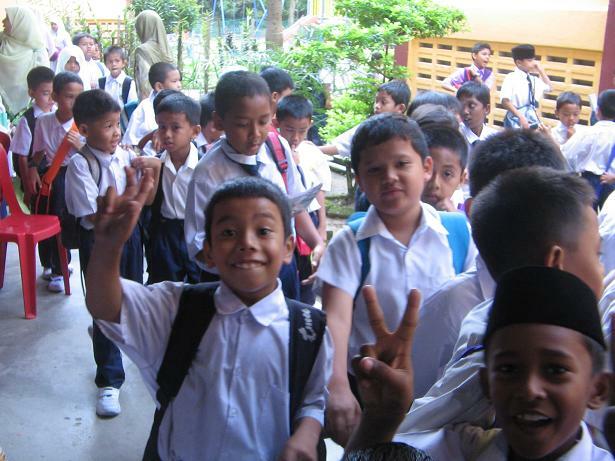 But when we arrived there, the management team was so ‘kelam-kabut’ and hurried us to respective stations! 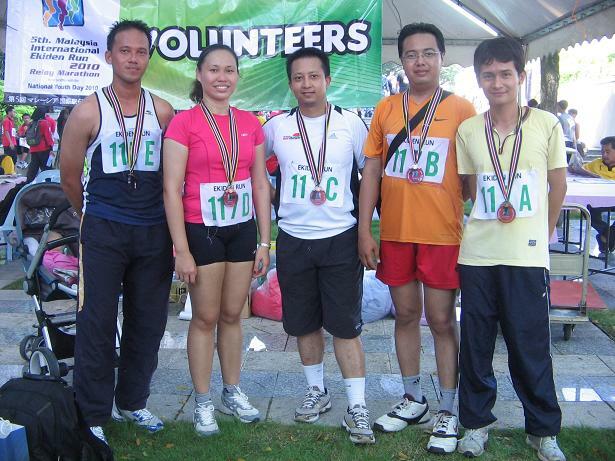 I was to be the 1st runner, Abg Syahir the 2nd one, Kat’s colleague the 3rd one, Kat’s the 4th and Nazri as the finale/5th runner. Honestly, I was a bit intimidated seeing all the sturdy and fit bodies all around me whilst there I was, the skinny petite skeleton (Hehehe). But, those mixture feelings were the spices that really put flavors to the experience! The race was a bit delayed due to ‘technical problems’. 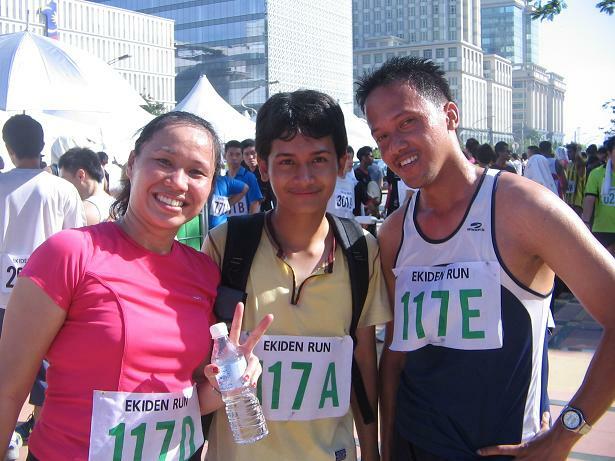 We, the first runners were ‘unleashed’ around 8.10 A.M. and off we went! My route was merely 3 KM (but quite ‘semput’! 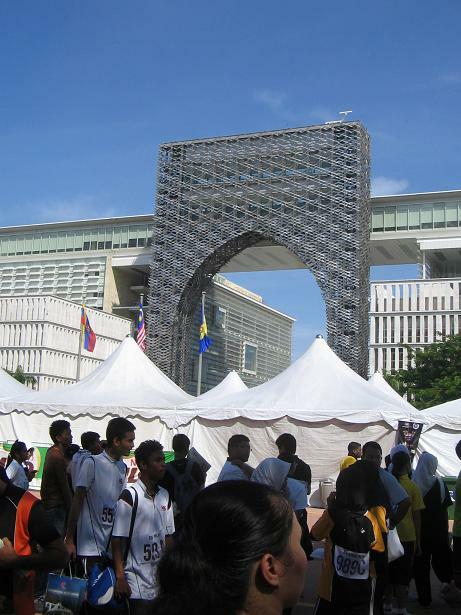 Hehee) from Palace of Justice to Putrajaya International Convention Centre (PICC). 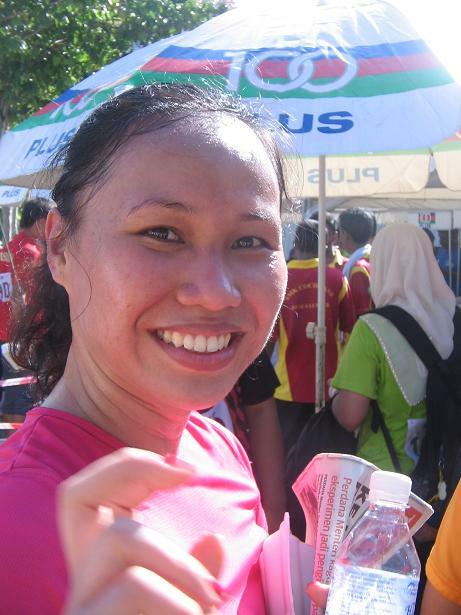 Thank God that I did the two jogging prior to the run; at least I did acclimatize to the run although have to say the weather was scorching hot! 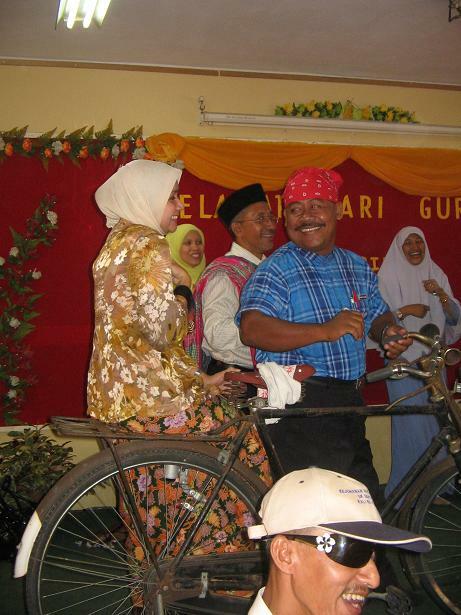 When I arrived to the second station, my number was announced and Abg Syahir was getting ready to take the sash away from me (instead of baton, we had a sash). Since the station was crowded with sweaty bodies, I was feeling a little bit nauseous and about to faint; suffocating for oxygen! With a drink and some bread, the first runners were carried back to the Palace of Justice via bus to wait for the rest of team members. 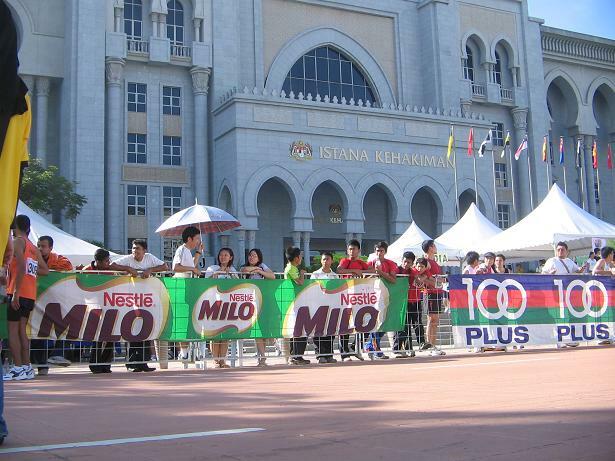 The crowd was thronging the Palace of Justice. After Nazri finished his run, we then went around and somehow ended-up at the V.I.P tent; first, Kat went to meet her DPA boss who was said to be in charged of Kementerian Belia & Sukan but then so happened that En. 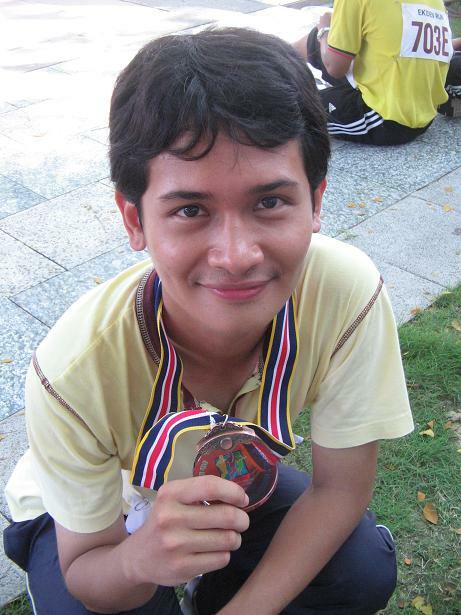 Maliki, a former of USM management officer ( I forgot what he did) was there. Since Kat knew everyone and everyone in USM knew her, she went to meet En. Maliki who now is a Secretary of a political party. After introducing En Maliki to us, we just stayed at the V.I.P. 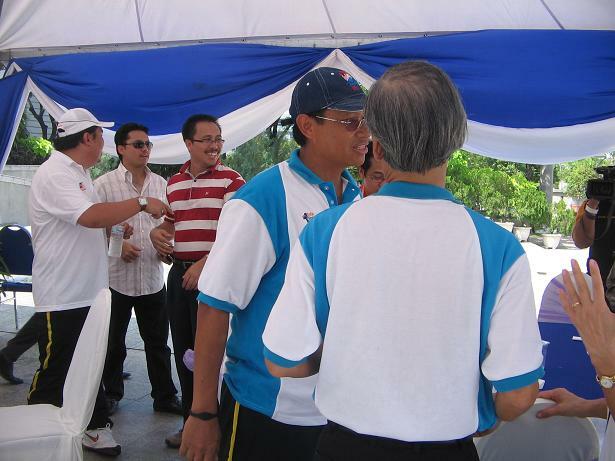 tent when suddenly the Minister of Sports and Youth, Dato Sabery Chik was there. With En. Maliki being there, we were introduced to him and had opportunity to take photograph with him! 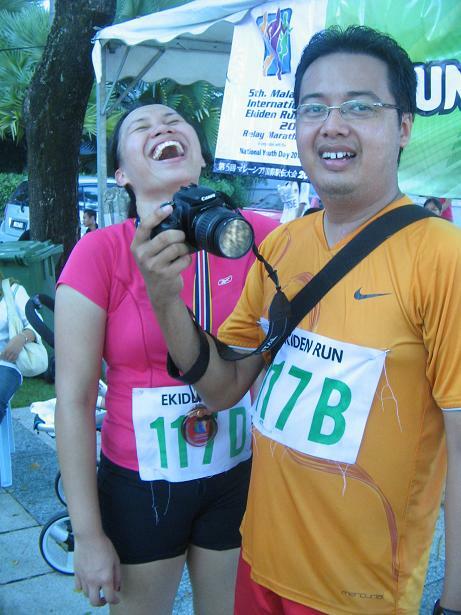 But I am so ‘geram’to the photographer who used Abg Syahir’s camera because my picture was captured only half of the frame!!! Grrr!!!! 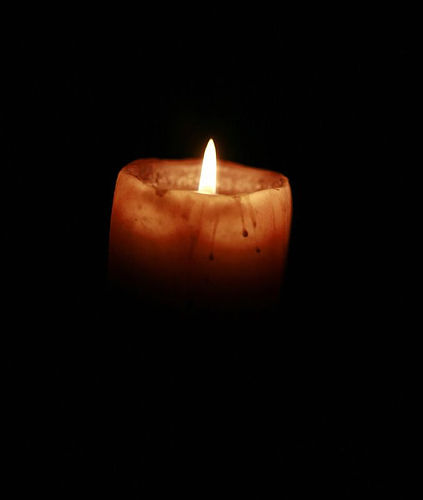 Stop The Tears / Candle In The Dark (When You Tell Me That). There are good times when I feel so strong that even knives will not crippled me. But there are often bad times when I stumble down and kowtow to emotions. 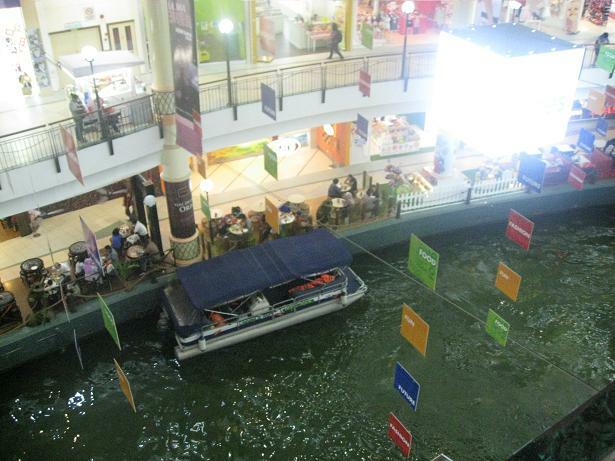 I just hope that my faith will not deter amidst this loneliness. I am blessed with all the possible loves anyone could ever ask. But being human, I never satisfy. I feel bad for that. But I am still trying to adjust to it. It’s hard when you are always being pampered, over-protected and close-knitted with your family and then trying to adjust to not always become the priority. I hate myself for being that. 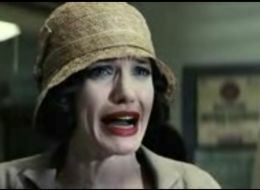 But I am handling this better than last time; when I was a novice. Experience is a great teacher. In spite many adamant and nonchalant door-knockers around me, I have always aspire to be the loyal one. To my God. 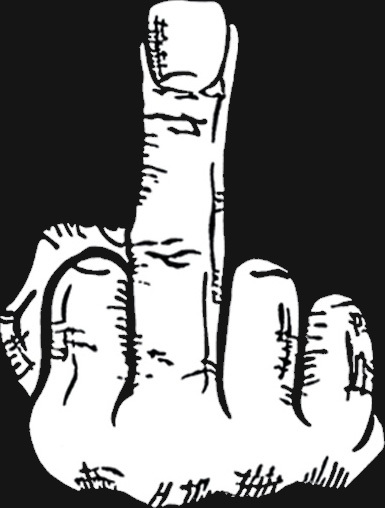 To my religion. To my family. To my friends. And to my Love. I can never betray, Insya Allah. 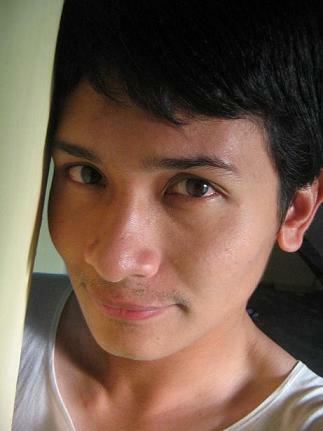 Although it is I who always bail out from relationships, but it is never I who betray. 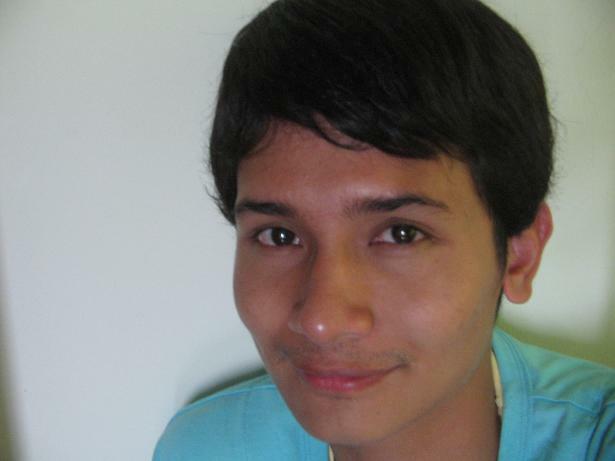 That is me. I really hope that this will last. But who knows. 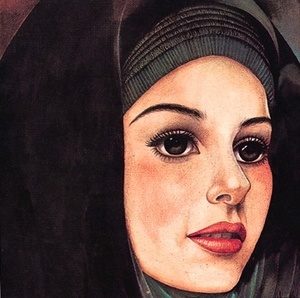 The Malaysian drama “Nur Kasih” (The Light Of Love) with its Islamic theme is really close to my heart. I am not the most pious but I am certainly not the most rebellious. It inspires me. And I aspire it.